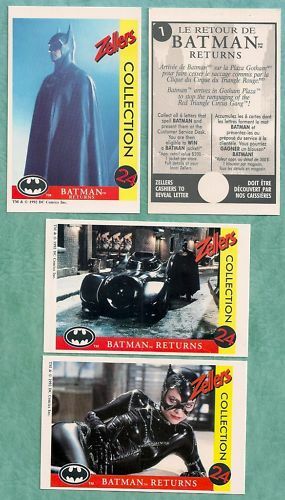 Complete set of 24 Batman Returns movie trading cards issued by Zellers stores in Canada only. MINT. ONLY ONE AVAILABLE FOR SALE.